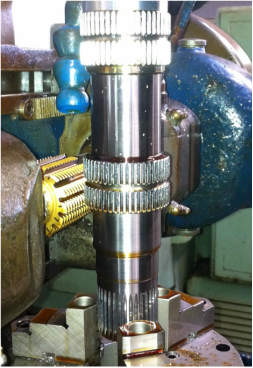 Nowadays CNC machines are taken for granted, but at one time there were no CNC machines. ​Someone had to be the first to venture into that arena. 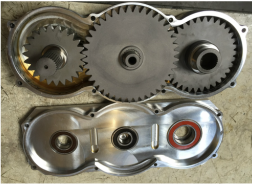 Traction Products was the first company in racing to adapt to Computer Aided Drafting and Computer Numerical Control machining, or CAD and CNC. 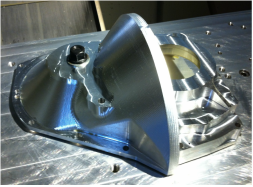 With CNC lathes and mills, we have improved the level of quality machining in racing to that of aerospace. 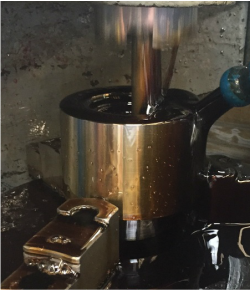 ​Our finishes are outstanding when compared to competitors because we choose to focus on quality rather than quantity. 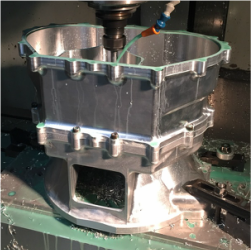 Especially in one-offs, proof-of-concepts, or small orders, it is more advantageous to cut from solid block then to make pattern and castings. 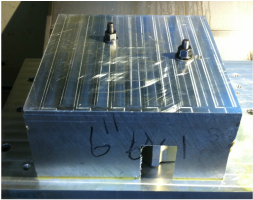 Shapes and surfaces that were once only dreamed of before, are fairly easy to machine today quickly. 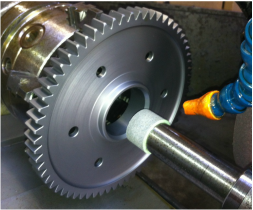 We cut all our gears and splines in house with our vast array of gear equipment. 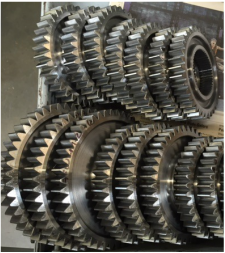 Faced with poor quality and service from our former gear vendors, we chose to build our own state-of-the-art gear machine shop. 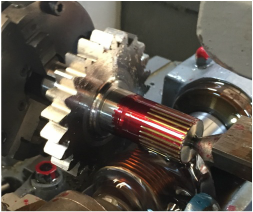 Having our own machines and expert machinists allowed us to experiment and ultimately improve on the gear technologies of the day. 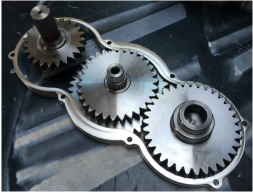 All our gears are calculated in house using gear software we originally help develop. 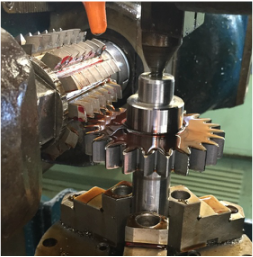 ​We can hob or shape gears and splines. 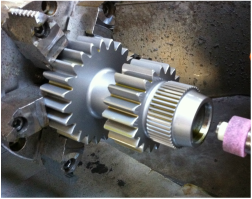 With metric and standard cutters, we can design and manufacture gears custom to our needs. 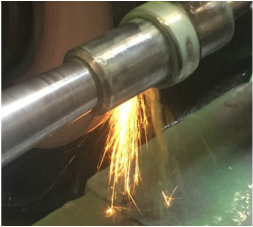 We finish grind our parts in house after heat treat to ensure quality fits. 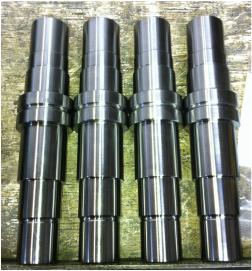 We have ID grinders to grind internal bores in gears and shafts. 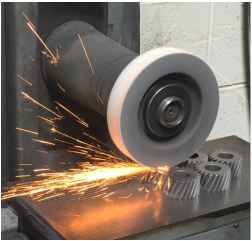 ​We also have external and surface grinders. 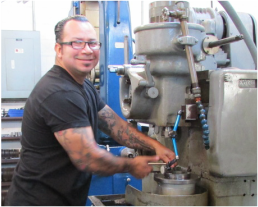 We even have made custom grinders for our Lockers and Quickshifts. 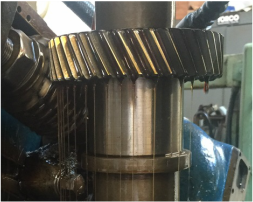 Responding to a customer's panic phone call the night before, we were tasked to change ratios of an existing transmission. 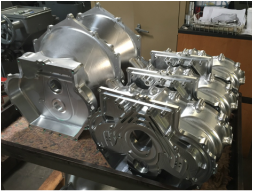 The Traction Products team was able to rapidly design, machine, heat teat, grind and assemble this prototype transmission in 3 days, starting on a Friday and finishing on the Sunday afternoon.